The new management at HSBC is considering further slimming down the lender that once billed itself as the "world's local bank", as it emerged that a former employee of its Swiss private bank, whistleblower Herve Falciani, has been arrested in Spain. John Flint, who succeeded Stuart Gulliver as chief executive in February, is reviewing up to a quarter of the remaining 67 countries the bank operates in, according to a Bloomberg report. Country units thought to be on the block include Bermuda, Malta and Uruguay. He is also mulling whether to beef up the firm's asset management division, potentially through a merger, the report added. Mr Flint launched a strategic review of HSBC when he took up the top role, with the results expected to be unveiled by the time of the bank's half-year results. He is working on the review with chairman Mark Tucker, who is also a relative newcomer having joined HSBC last autumn. Work on the review is understood to be at an early stage and no final decisions have been made. A spokesman for HSBC declined to comment. During Mr Gulliver's tenure HSBC embarked on deep cost-cutting, exiting more than half the countries where it had branches and making more than 87,000 job cuts. It also battled with a string of misconduct scandals, although it received a boost when a five-year deferred prosecution agreement in the US for helping drug cartels launder money in Mexico was lifted in December. It also managed to agree a €300m (?260m) settlement with French prosecutors in November over a long-running investigation into allegations of tax evasion at its Swiss private bank. The probe had come about in the wake of the “Swissleaks” scandal on bank-supported tax evasion, using information obtained and leaked by a former HSBC employee, Mr Falciani. 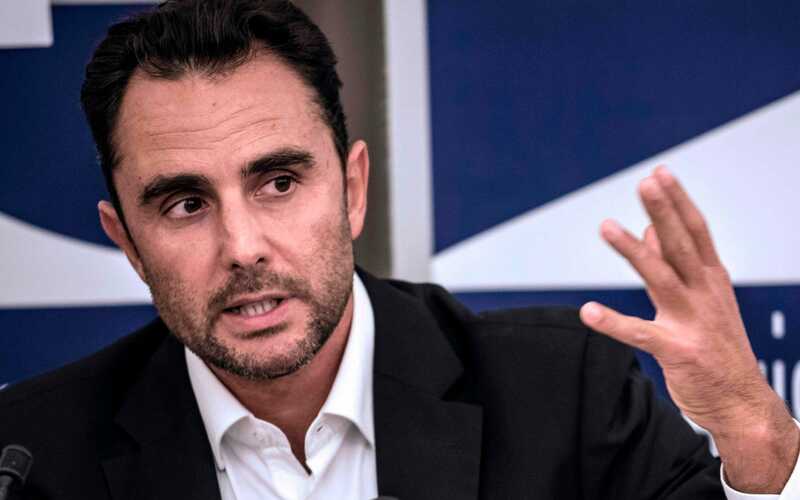 News of the bank's potential overhaul of operations came as it emerged that Spanish police had detained Mr Falciani, a French-Italian national who in 2015 was sentenced to five years in prison. Mr Falciani was convicted of industrial espionage by a Swiss court, and had previously been living in France, which does not extradite its citizens. It is thought he was arrested while attending a conference in Madrid. HSBC, in its 2017 results, said it is still being investigated in several countries, including the US, Belgium, Argentina, India and Spain, where it faces allegations of tax evasion or fraud and money laundering. The bank has said it is cooperating with authorities on these allegations. "Based on the information currently available, management’s estimate of the possible aggregate penalties that might arise as a result of the matters in respect of which it is practicable to form estimates is up to or exceeding $1.5bn (?1.07bn), including amounts for which a provision has been recognised," it said. "Due to uncertainties and limitations of these estimates, the ultimate penalties could differ significantly from this amount." In the results, HSBC also posted revenue growth for the first time in six years in 2017, but its core profitability lags behind banks of comparable size. It still has 229,000 staff across 3,900 offices around the world, as well as $2.5 trillion of assets, making it Europe's largest lender.